Twitter has become an undeniable mover and shaker in the content marketing world. With over 86% of Twitter users turning to it daily as a top resource, staying active is vital to getting seen. And yet, knowing what type of content to tweet is still a top frustration for most businesses. That's where our years of testing comes in. If you're a small business owner, marketer or self-professed data geek, we've got what you need. 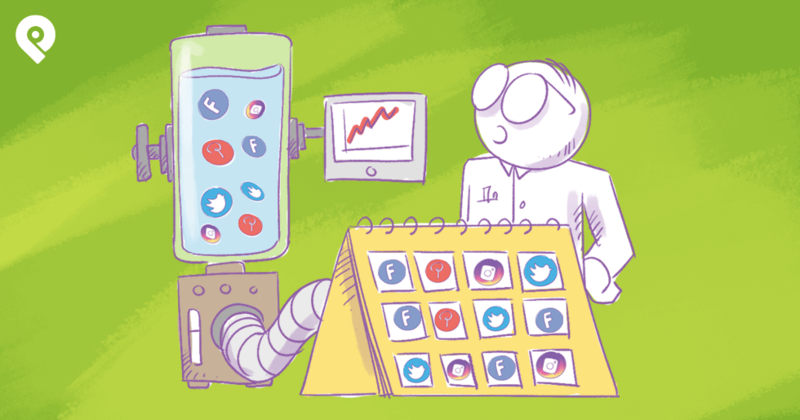 11 of the best types of content to tweet, all backed by the stats and facts to make data driven decisions. 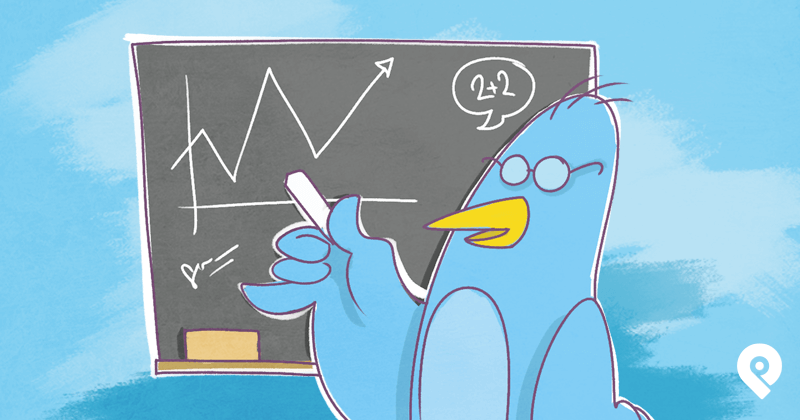 Looking for ways to optimize your Twitter marketing strategy? Check out these 21 super stealth ways to get more followers on Twitter! Let’s talk video. It's a big deal on social media, but especially on Twitter. Video will account for 80% of global internet traffic by 2019. 82% of users watch video on Twitter. Twitter users who saw a branded video were 28% more likely to make a purchase than a regular web user. Videos are 6x more likely to be retweeted than photos and 3x more likely than GIFs. But how do you leverage that immense power? Respond to Tweets With Video. It will take a second of your time face but will get your tweet noticed and help your audience put a face behind your brand. Go Live on Twitter to Share Real-Time Events. Sharing a video around a live event increases brand favorability by 63%. Do a How-to-video. Share educational or instructional videos that bring real value to your audience. Tease a New Product or Upcoming Event. This is a fantastic way to build buzz and get people talking and clicking. Animate Your Visuals. Breathe new life into your images by using tools such as Adobe Spark to create short videos or gifs from the graphic. Jump On Trending Topics. See what's currently trending on Twitter and create a video around that topic. Start your video off with a Bang! An early story arc, leads to a 58% increase in a user watching a video past the first 3 seconds. Include a call-to-action. Tell the audience what their next step is and they'll be more likely to take it. Feature people. Videos that show people in the first few seconds see a 133% increase in response. Keep it short. Shorter videos of 15 seconds or less are more likely to drive memory encoding than videos of 30 seconds. Add text or subtitles. Videos with text are 11% more likely to be viewed. They also generate 28% higher completion rates than those without them. Videos with text are 11% more likely to be viewed and generate 28% higher completion rates than those without them. People rarely have the time to read long drawn-out articles. They want facts and information, and they want them fast. Let's face it, many people are visual learners. That's why it's not at all surprising that Infographics are so popular. Infographics are 30X more likely to be read than textual articles. 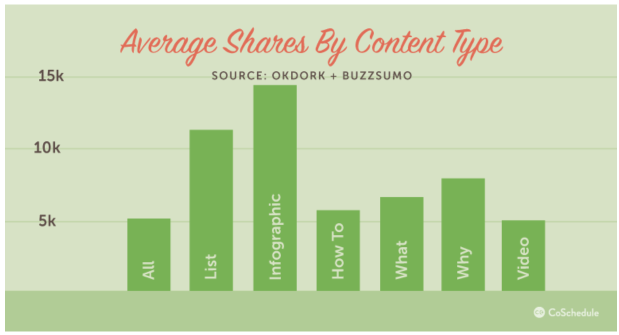 Infographics are liked and shared 3X more than other any other type of content. You can share both, the infographics you create and ones you've discovered. 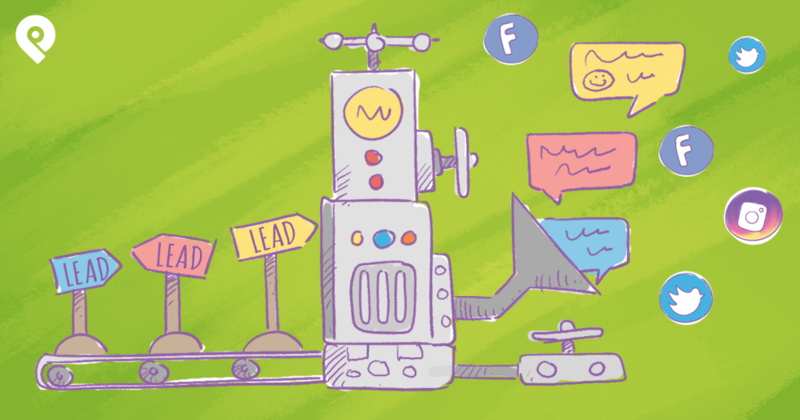 If you create your own infographic, you can use it to drive engagement and get lots of leads. Once you've created an infographic or have found one you want to share, go ahead and tweet out a link to it. But don't forget to mention that it's an infographic! Search Engine Watch analyzed their top 10 best performing pieces of content. The results showed that besides the SEO category page, the most popular pages were all evergreen articles. If you take a close look at some of the top brands on Twitter, you'll notice that many of them share user-generated-content. And that's not surprising. UGC showcases your fans, helps build a community and provides social proof. In fact, 45% of online shoppers are more likely to shop on websites offering personalized recommendations. Brand engagement is 28% higher when users see a combination of user created product videos and professional content. More than 50% of consumers want a brand to tell them what type of content to create and share. Unfortunately, only 16% of brands do. Ads with user-generated content get 4x higher click-through rates and a 50% drop in cost-per-click than average. Here are a few ideas on how you can tap into user-generated content. Crowdsource ideas for new products, titles, etc. Create a unique #hashtag and encourage users to use it to share their content with you. One thing to keep in mind is that not everybody will be comfortable getting their content shared. So, unless it's a piece of content the user voluntarily submitted to you, make sure to always ask a user's permission before sharing the content. And always, ALWAYS give credit where credit is due. 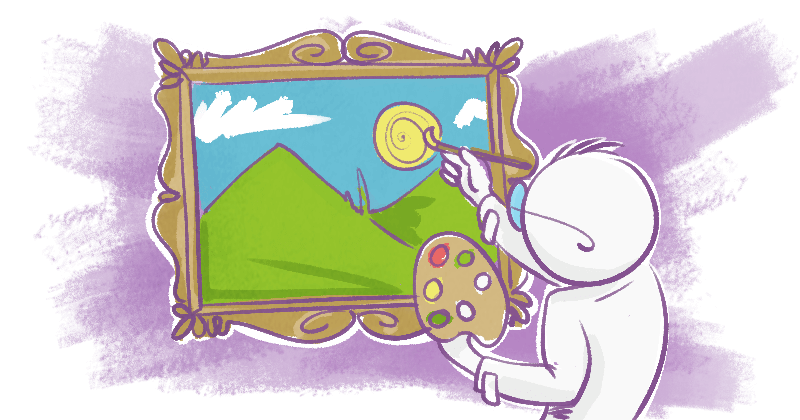 Ok, you've probably heard about the value of visual marketing a thousand times. But, I can't talk about the type of content you need to be sharing and not mention visuals. 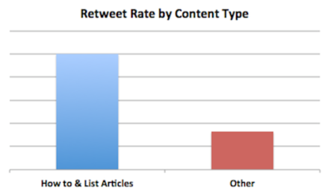 Tweets with images are 34% more likely to get retweeted that tweets with no images. So, make sure to create and share some images that are attention grabbing and visually appealing. Whether it's a stand-alone visual such as an inspirational quote, or it's an image that accompanies a promotional tweet, make it stand out. Twitter users love lists and how-to's. And why wouldn't they? Lists and how to's offer value and do so in a clear and precise way. It's not surprising that they get 3X more retweets than any other type of content. Share valuable information that positions you as an authority and valuable source. Teach how to do something with the help of your product or service. If you're creating lists, make these concise, straight to the point, and full of information your audience will find valuable. Remember, people are looking to connect with people, not brands. And behind-the-scenes posts are one of the best ways to build personal connections, trust, and brand loyalty. 25% of millennials say brand loyalty is a main factor in a purchasing decision. 57% of small business owners believe that having a relationship with consumers is the primary driver of repeat business. 57% of small business owners say that having a relationship with consumers is the primary driver of repeat business. So, give your audience an inside, more personal look, at who you are and what makes your brand tick. Give a behind-the scenes look at the team and their daily life. Show how your product is created or how your team works from the inside. Do a tour of your office or the place where all the "magic" happens. If you're still not sharing image-based quotes, you must be living under a rock. Image-based quotes are everywhere and they're steaming HOT with engagement! Adding a quote gives a 19% boost in retweets. Users who tweet quotes have 43% more followers. One of the best things about creating such quoted image is that it's so easy to do! In fact, you can create an eye-catching quote-image in a matter of minutes (or seconds if you're super fast). There are lots of easy ways to create such images and tools to help, but I prefer to do it all without leaving Post Planner. Open up Post Planner's Popular section and look under "Status Ideas." I personally love the "Deep Thoughts" folder, but you can use any of the other ones. 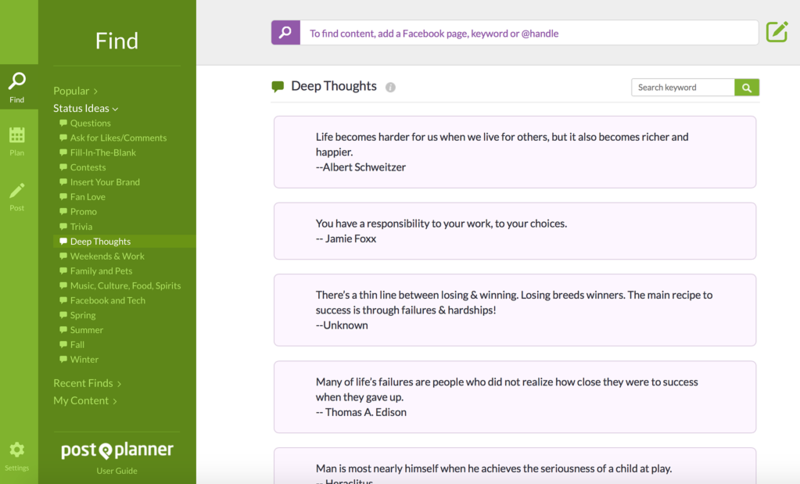 Find a quote you like and add it into the composer (Click "Share" and Paste). Now click on the Canva icon on the right and you'll be taken to Canva. Add your text in and create your image. Click publish and your image will be added into the composer. Now all you've got to do is schedule your tweet. Voila! You might have noticed that content marketing is becoming less about the message you write and more about the experience you create. 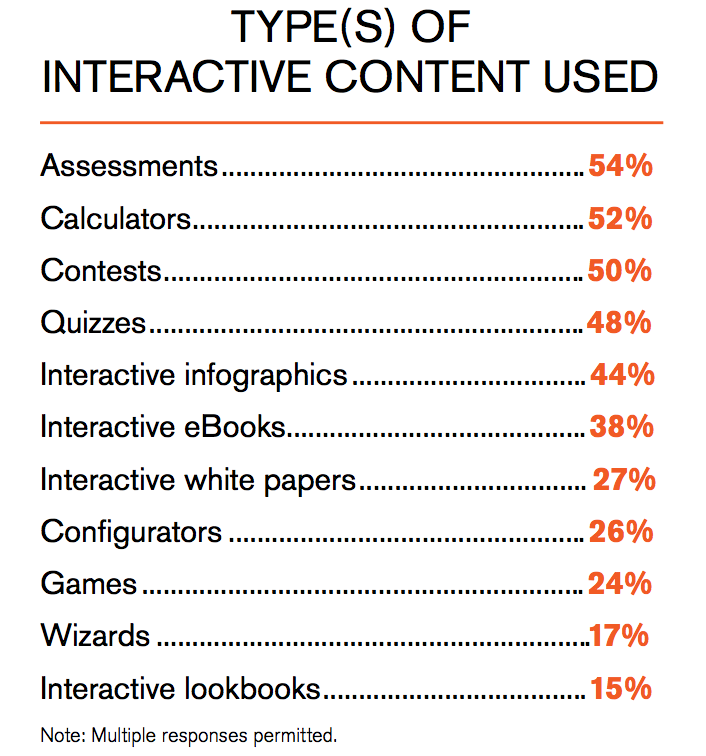 53% of content marketers use interactive content. This type of content gets the user actively engaged and participating. All of these create a unique experience that can't leave the user indifferent. So, I strongly suggest you make interactive content a part of your Twitter marketing strategy. What's the best way to get your Twitter followers to respond to your tweet? Ask them a question! Twitter users love to answer questions, especially ones that are quick and easy-to-answer, and ones that ask their opinion. get 1,050% more replies than quotes. get 100% more comments than standard text-based posts. with “should”, “would” and “which” get the most comments. 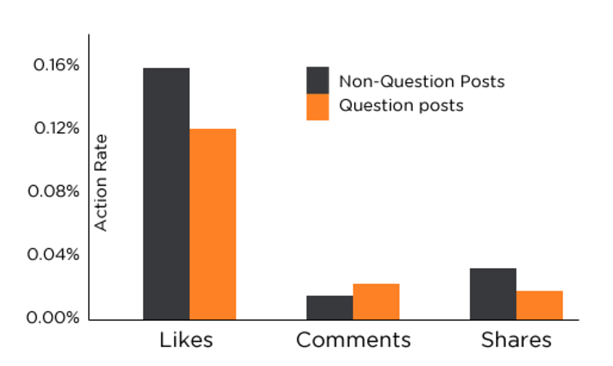 Engaging questions get 100% more comments than standard text-based posts. It's true! So, don't be shy - ask away! What are your favorite tips for getting through the day without caffeine? What's the first thing you do when you get home from school or work? How many e-mails do you get in a day? You can come up with these on your own or you can check out Post Planner's Find - Status Idea section and look under Questions. There are hundreds of questions to choose from. As an image (add your question to a great background). 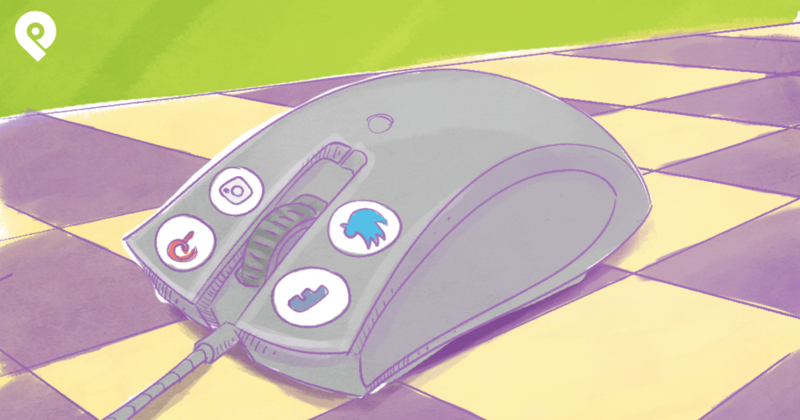 Remember: people on social media want to be entertained — not sold to. 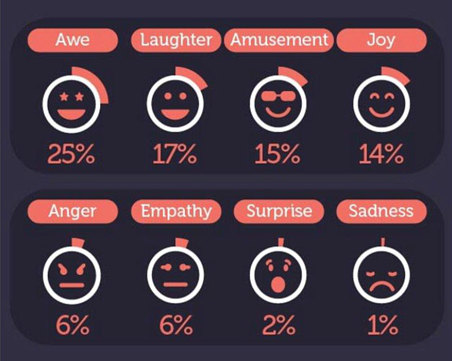 The more positive emotions your content manages to evoke, the more engagement it will get and the more momorable it will be. 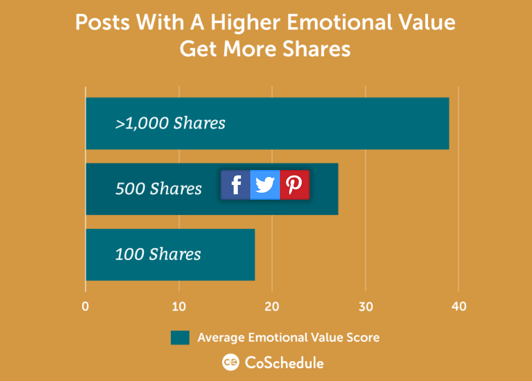 Posts with a higher emotional value get more shares. Just 42% of positive experiences are forgotten, compared to negative emotions’ 60%. Everyone loves GIF’s. They're easy to tweet, consume and share. Not to mention that they speak to your audience when words just won’t do the trick. No wonder Giphy, serves more than 1 billion GIFs per day to more than 100 million Daily Active Users! Just consider this: if "a picture is worth a thousand words", then a GIF must be worth thousands! And you can fit it all into Twitter's 140 character limit! As you can see, we've found multiple types of content that performs well on Twitter. Your job is to test out them out and see which types of content your audience responds best to. Tweet, analyze, and tweak. Tweet, analyze, and tweak. Now, over to you: what kind of content do you like to share on Twitter? What do you find the most effective?